Large capacity ambient shipping system accommodates multiple specimen transport bags for consolidation at collection site and shipping to testing laboratory. System includes a large transport box (ID: 11 x 10.5 x 4″; OD: 11.25 x 10.75 x 4.25″) with easy lock flaps on both ends of the box, a 13 x 18″ biohazard transport bag, and 12 x 12″ absorbent sheet. Holds up to ten 6 x 9″ specimen transport bags. Features a pop-up style box that is easy to assemble. Easy-fold flaps on both ends of the box enable the shipper to easily slide the included specimen bag and absorbent containing sample tubes inside the box prior to securing the flaps for shipment. 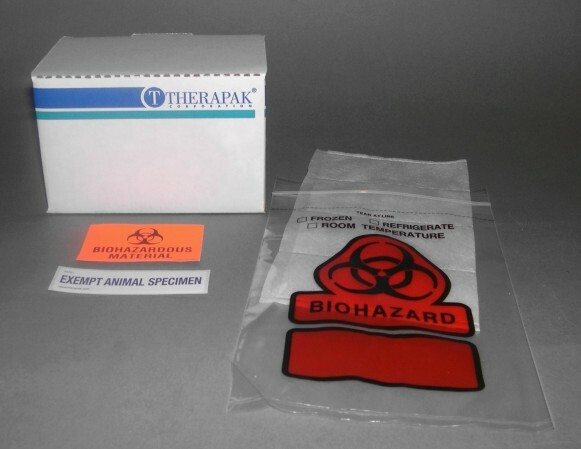 Includes an Exempt Animal Specimen label and biohazard symbol label. Ambient shipping system features an Aqui-Pak segmented absorbent pouch to hold up to six standard blood or urine tubes. Shipped with pre-assembled boxes, this transport shipper includes: medium transport box (ID: 7 x 4 x 4″; OD: 8 x 4.25 x 4.25″), specimen transport bag, absorbent material, Exempt Animal Specimen label, biohazard symbol label and cushioning material where applicable. The small transport box is designed for shipping one standard or larger specimen container (30 mL to 60 mL) of liquid specimen. 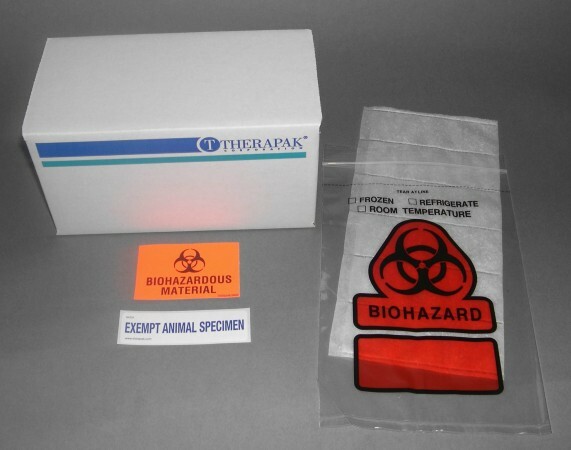 Shipped with pre-assembled boxes, these transport shippers also include: small transport box (ID: 5.25 x 4 x 3.75″; OD: 6 x 4.25 x 4″), specimen transport bag, absorbent material, Exempt Animal Specimen label, biohazard symbol label and cushioning material where applicable. Ambient shipping system features an Aqui-Pak™ segmented absorbent pouch to hold up to four standard blood or urine tubes. 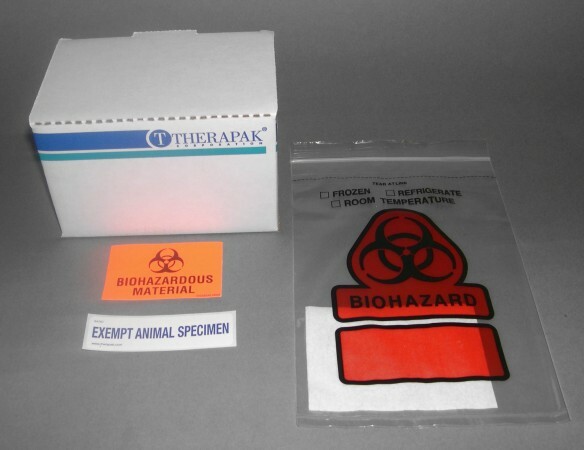 For use in both regional and national Veterinary testing laboratories and Veterinary hospitals, the EAS specimen shipper features a bulk-pack case of shipping supplies to transport ambient samples. 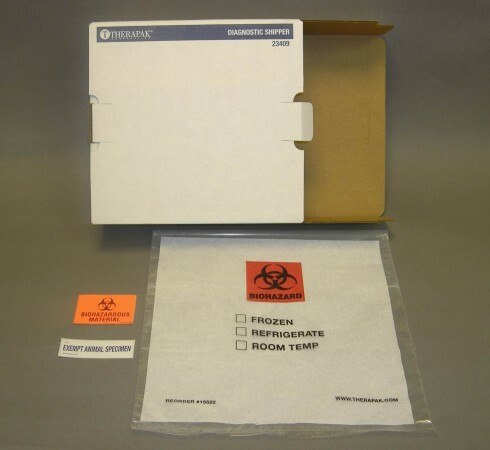 Each TearTech® EAS shipper box holds up to four specimen bags with patient samples. 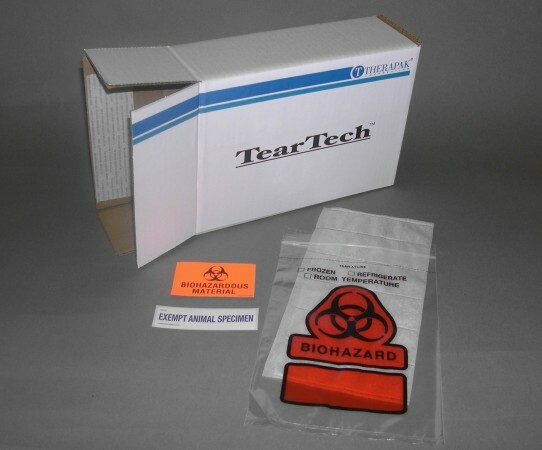 The shipper includes: 50 TearTech® easy to assemble boxes, 100 zip-style biohazard transport bags (two pocket bag for sample and requisition form), 100 Aqui-Pak™ segmented absorbent pouches (each Aqui-Pak™ holds up to 6 standard blood or urine tubes), 50 biohazard labels, 50 Exempt Animal Specimen labels, and cushioning material where applicable.